Testing of the new CBTC signalling system was conducted during revenue service hours for the first time on the entire East West Line, starting on 29th April 2018. 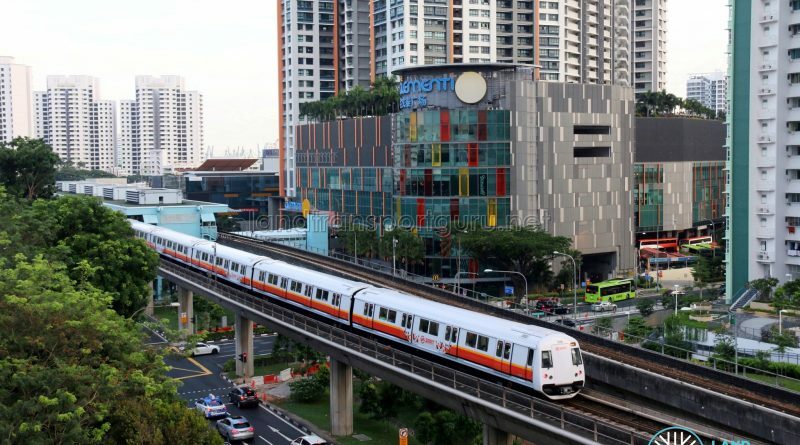 During the trial, trains will be running between Pasir Ris and Tuas Link, meaning that services train between Joo Koon and Gul Circle will resume. As a result, shuttle bus services will not be offered between the two stations. 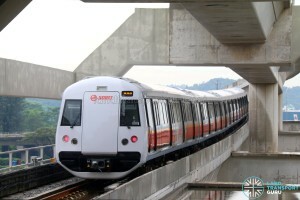 The CBTC signalling system replaces the legacy fixed-block signalling system in use since the MRT opened in 1987. This new system, supplied by Thales, allows trains to run more closely together, at intervals of 100 seconds (down from 120 seconds). With a higher degree of automation, more roles previously covered by train operators are replaced to improve reliability. Five days of full-day testing are planned: 29th April, and 6, 13, 20 and 27 May 2018. The new signalling system will not affect the operating schedule of the East West Line. However, commuters may occasionally encounter instances of train and platform doors not opening or closing promptly, trains being held at stations longer than usual, or trains stopping momentarily between stations. In addition, fifth-generation C151B trains entered service on the entire East West Line for the first time during the second CBTC signalling trial, on 6th May 2018. These trains are only equipped with the CBTC signalling system and are unable to operate when the legacy signalling system is in use. Full-day weekday testing (akin to full implementation) of the CBTC system is scheduled for end-May 2018, deliberately timed with the start of the month-long June school holidays to lessen the inconvenience on students. Full implementation of the CBTC on the North South Line commenced in May 2017. On 18 June 2017, the EWL partially transitioned to CBTC with the opening of the Tuas West Extension. Trains switched from the old legacy fixed-block system to the Thales CBTC system at Pioneer Station (in both directions). However, in the wake of a train collision incident at Joo Koon Station on 15 November 2017, CBTC and legacy signalling systems were physically separated until CBTC resignalling works on the entire EWL were complete. The link between Joo Koon and Gul Circle was broken and necessitated a transfer via shuttle bus. C151B trainsets made their passenger service debut on the East West Line on Friday, 16 June 2017, during the Tuas West Extension Open House. C151B trainsets returned to the Tuas West Extension (TWE) of the East West Line in January 2018, when the TWE (Gul Circle – Tuas Link) was operated as a separate part of the EWL in the aftermath of the Joo Koon Train Collision, which resulted in legacy and CBTC-equipped sections of track separated since November 2017. C151B trains plied the entire EWL starting from 6 May 2018, during full-day trials for of the CBTC signalling system on the EWL. Weekday trails of CBTC on the East West Line commenced on 28 May 2018. 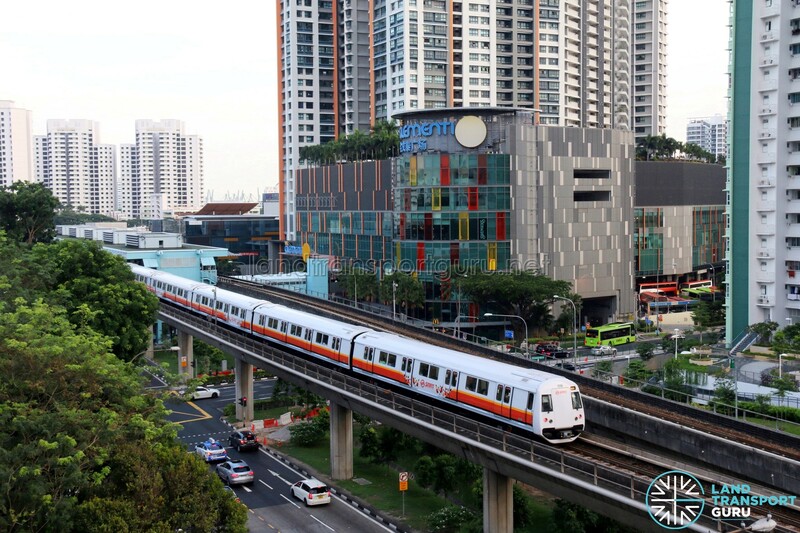 As such, train service between Joo Koon and Gul Circle were restored permanently.